The Committee of Yorkshire Branch would like to express its deep regret at the recent passing of John Ashdown-Hill. John has been a friend to some of our members for many years, and has helped to enlighten and entertain us all with his many books and articles on late mediaeval England. His knowledge of and willingness to assist with historical queries of all kinds will always be appreciated. Many members will know him best from his enormous contribution to Ricardian studies, with both the unravelling of the mitochondrial DNA of Richard III and the Looking For Richard Project. He will be greatly missed. The Committee sends its condolences to John's family and friends. In 1924, the Fellowship of the White Boar was founded by the eminent British surgeon S. Saxon Barton. He, like others before him, was not inclined to accept the version of Ricardian history that had been handed down by Tudor historians, and thereafter generally regarded as a true account. In 1951, a writer of detective stories called Elizabeth MacIntosh - better known by her pen name: Josephine Tey, wrote a book, "The Daughter of Time," the title being drawn from an old proverb: "Truth is the Daughter of time. "Her book vindicated Richard III of the murder of his nephews, the sons of Edward IV, and better known in English History as The Princes in the Tower. The book created much interest and, in 1956, the Fellowship of the White Boar was reformed as an international organisation and, in 1959, was renamed: The Richard III Society. Why A Yorkshire Branch Site? The Life and Times of King Richard III are already covered in great detail in the excellent web sites maintained by our Parent Branch and by our sister Branches in Australia, Canada, and the United States. 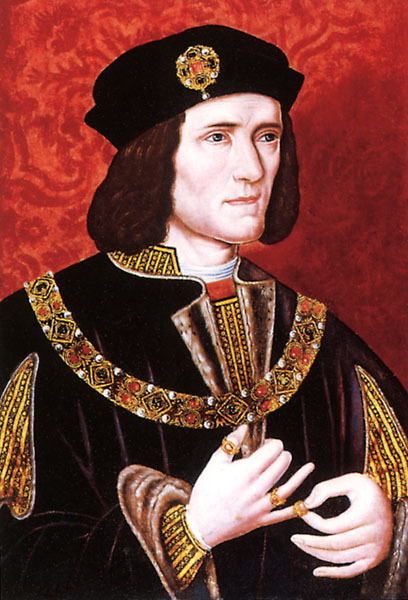 Nevertheless, we do feel we have a unique contribution to make to the story of Richard III, since Yorkshire was his favourite county of all. It was here that he enjoyed his happiest days, here he and his wife, Anne Neville, daughter of Warwick the Kingmaker made their first - and favourite - home, at Middleham Castle and it was here that their only son, Edward was born in 1473, and spent most of his tragically short life. In this site, therefore, we shall try to show you why Richard loved Yorkshire and why he was loved so well in return. It is an enormous task to show the vast variety of historical links with Richard III which are located in our county: the Castles, the Monasteries and Priories, the Battlefields, and the towns and cities which have intimate links with Richard and the Houses of Neville and York. To achieve our aim, we intend to include regularly new pictures, new accounts, fresh news of forthcoming events in our county, and we shall change or add to the information in our site on a quarterly or even monthly basis, where this is required. In this way, we hope to share with you our own love for "this other Eden, demi-paradise..." which we call Yorkshire, which we - like Richard - call "home".